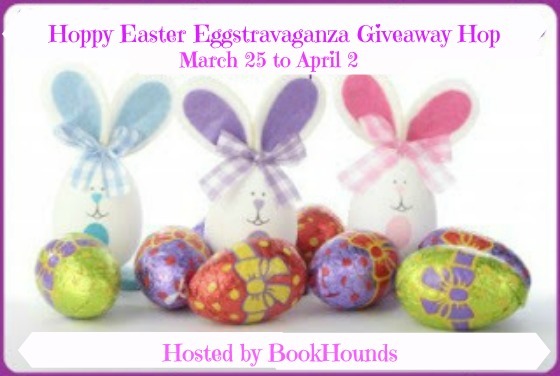 Laurie Here - Contemporary Fiction and MORE - Book Reviews: #Enter the Hoppy Eggstravaganza #Giveaway Hop! 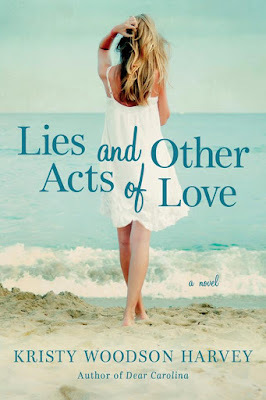 #Win #books and/or #book related items! #Enter the Hoppy Eggstravaganza #Giveaway Hop! #Win #books and/or #book related items! Thanks to our Sponsor, Bookhounds!!! Welcome to the Hoppy Eggstravaganza #Giveaway Hop! NOW to April 2nd! ONE US WINNER OF . . .
ONE PRINT WINNER OF . . .
the BRAND NEW, NOT EVEN RELEASED YET . . .
UNTIL IT RELEASES which is . . .
APRIL 5th, 2016 . . . ta, da! Here it is . . . !!! Dear Carolina was praised as “Southern fiction at its best.”* Now author Kristy Woodson Harvey presents a new novel about what it really means to tell the truth . . . This is the link to my review of "Dear Carolina" written by this author last year in 2015. I LOVED the book. HOW DO YOU ENTER TO WIN THIS BOOK? FILL OUT THE FORM WHICH IS BELOW! You will have to make this form scroll down by using the light grey scrollbar that is on the outside of the BLACK box that surrounds the FORM BOX. That will be to the RIGHT side of it. It might be a little hard to see, but look hard and you'll notice it! Have FUN! Good luck! I HOPE you win LOTS of GREAT books!!! *This light grey scrollbar is pretty simple to see this time!! I wish they were ALL this simple like this EVERY time I had to make a form just like this form!! ALSO - WANT TO ENTER ANOTHER #GIVEAWAY FOR $250 CASH? SURE YOU DO!!! CLICK HERE!!! TO DO SO! GOOD LUCK!!! Here is the list of ALLLLL the other blogs in this Hop! Thanks for stopping by! Oh! I wondered why you always signed everything Beth and Kristy! That makes sense! Thanks for explaining! That MUST be SO MUCH FUN!!!! I lost my Mom back in 2010 and it hasn't been the same at all. I miss her DEARLY! Enjoy every SECOND with her! It's truly special! Plus, having and sharing a blog with her is truly special, too! Anything I can EVER do for you, I'll do! You're a pretty special person Kristy! Writer, too!!! ALL the best to you and your Mom! I wish you both a very Happy Easter!! hope you had a hoppy easter! thanks for all you do!